Stock agencies offer high quality Vectors besides the stock images that they are known for. Designers are seldom aware of this fact and some designers often use up their project time creating Vector art and Illustrations from scratch. Some others end up in the wrong places on the web where they have to compromise on the quality of the graphic or else adhere to complex licensing terms which may be unclear at times. In scenarios like these getting the right options for your design would be based on pure luck. It has been rightly said that you are most likely to find the right options if you look for them in the right places. Vectorguru, through its Reviews intends to throw light on some amazing places on the internet which host a grand collection of high quality Vectors with reasonable pricing and transparent licensing options. 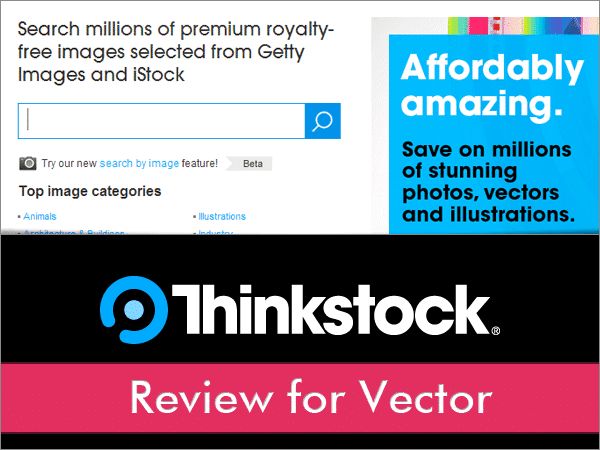 Thinkstock review for Vector is one such review from our series of stock image website review which reveals the value of this stock agency for a Vector buyer. We shall evaluate Thinkstock and serve you with all the details, so that you may have enough information that may help you while buying Vectors. Let’s begin with Thinkstock Review for Vectors. Thinkstock is a popular and preferred stock image website and hosts a collection from other renowned and reliable stock websites from around the globe. During our review of Thinkstock, we discovered some remarkable aspects that we think make it an ideal place to shop for Vector images. Royalty free images with Standard, Extended and Custom Licensing. Image pack and Subscription based payment plans. One price for different image sizes. Legal protection of $10,000 per image on standard license and $2,50,000 per image on extended and custom license. Vector offered in EPS format. Purchase your favorite plans using VISA or MasterCard credit cards. It’s one of the largest and most successful subscription based stock agencies in the world. It hosts a collection of images from Getty Images, iStockphoto, PunchStock, Clipart.com and other leading stock agencies. It hosts 13 different websites for different countries. Most stock agencies offer vector files for a much higher price than the raster images. Thinkstock is exceptional in this regard and offers one of the best image buying options for a vector buyer. Thinkstock offers the same price for Vectors and images regardless of its size and that’s a great reason for Vector buyers to rejoice. You can download images by purchasing a subscription plan or an Image pack. Both these payment plans have their advantages and depend on the volumes and your project needs. Let’s look in to these payment plans one by one. This plan is offers a monthly download limit in a subscription plan, as compared to a daily download limits found on subscription plans of most stock agency websites. For just $139 a month you get 50 vector downloads. 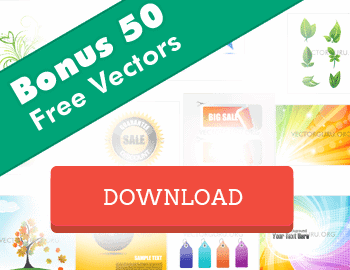 Thinkstock labels this as a best value pack where you can download 25 vectors per day. For a $208 a month, this is truly a bargain you can benefit from if you need Vectors and images on a regular basis. Large design houses and advertising firms can surely gain from this subscription plan from Thinkstock. If you need to subscribe for just a month, perhaps for a temporary project need or to just to check Thinkstock out, you may take this plan for just $299 a month with 25 vector image daily download limit. 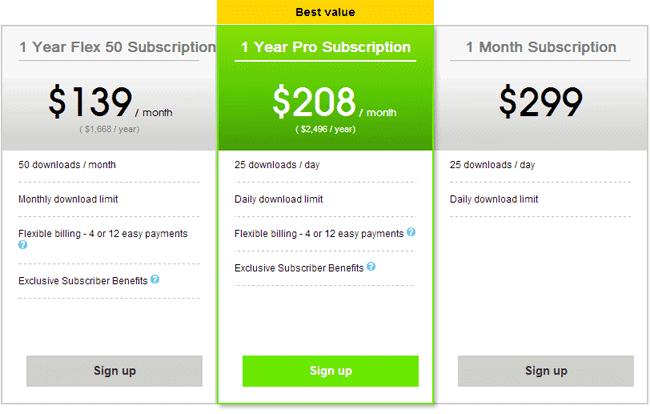 The 1 Year Flex 50 Subscription and the 1 Year Pro Subscription comes with Flexible billing option where you can pay in 4 to 12 easy payments. There are also additional benefits where you get promo codes to save 10% on purchases from Getty Images and iStock. Image packs have always been popular among low volume or occasional Vector buyers . Thinkstock offers four Image Pack plans, right from 5 downloads to 250 downloads per year. 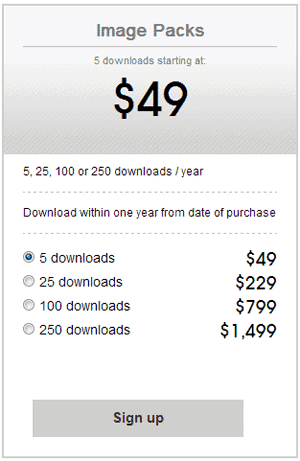 Like most of the stock image websites, you save more with higher download volumes. Thinkstock has one of the greatest and unbeatable Image searching options in the stock image industry. The Search filters help you get more granular control over your searches. You may also have elements with white background only for easy composition of artwork. This may helpful in case of Raster images, but is not usually the required of Vectors as these can be edited out in a Vector editing application like Illustrator. ‘Not these words’ filter comes real handy if specific type of images need to be omitted from your search results. People filter in the sidebar can be helpful if you need to refine your search based on the number of people in an image, gender, age and the ethnicity. 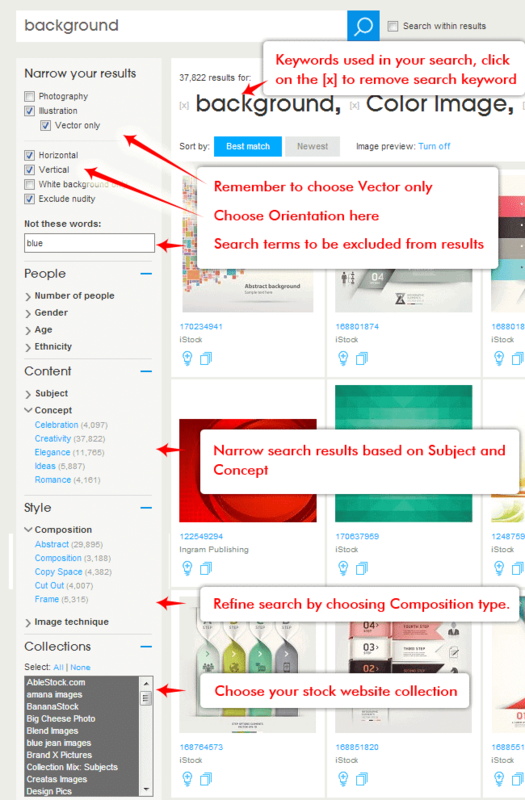 You can also search based on subject of the content such as backgrounds, illustration, illustration technique or even cut illustrations and shapes. You can also base your search on concept than a particular subject if needed. If you’re looking for a specific style of Vector based on composition and image technique, you can filter that too. You can choose from abstract, cut-out, copy space compositions to horizontal and vertical placed compositions. Image technique sub filters help you narrow your search based on categories such as, color image, vignette, silhouette and grunge. As Thinkstock offers vectors and images from other leading stock agencies, you may have your favorites which can be another criteria while searching for vectors. The collection filter in the sidebar lets you do just that by helping to choose from specific collections. Moreover, each added filter shows above the search results which can be removed to exclude that filter. This section also helps you sort results based on the best match and newest vectors. You may also turn of preview which shows a blowup of the image you hover the mouse on. There’s also a ‘search within results’ check box besides the main search bar which helps to further narrow your results. Firstly, with such a massive collection from around 40 stock vector and image collections you would be lost if it wasn’t for the incredible search options provided by Thinkstock. Great pricing options for long term and short term buyers. The same pricing across all image sizes and vectors is a definite gain for every vector buyer. A large team of editors help release only high quality vectors and images. The legal protection of $10,000 to $2,50,000 for every image makes us more confident as Vector buyers, doesn’t it? Thinkstock helps you to directly download and use images without a watermark. So you don’t have to go through the process of changing the images once approved by your clients. Do remember to remove the images if they’re not approved. There are more pros to Thinkstock, which have been outlined in the winning points section as these are what sets Thinkstock apart. Honestly, after going through all the features of Thinkstock there’s hardly any drawback that we could put our finger on. As an enhancement I wish there was a color slider to help choose vectors in specific colors. The 25 downloads per day offered in subscription plans may not be sufficient for large design companies. But Thinkstock does mention that you can contact them if you have high volume image requirements. Thinkstock offers the best of all worlds under a single roof. Thinkstock offers images from leading stock image websites from around the world. With vectors and images contributed from around 40 selected royalty free collections, you can be guaranteed to find, what you have set out to look for. You get Vectors for the same price as raster images at Thinkstock. The ability to download and use high res images and vectors rightaway is a big timesaver for any designer. With one of best search options and filters in the industry, you can narrow your results from millions of Vectors in less than a minute. The added benefits like the 10% discount promo codes for Getty Images and iStock make the subscription plans completely valuable. With massive legal protection of upto $2,50,000 you can now download and use the Vectors in your projects without crosschecking the image content. To summarize, Thinkstock draws its massive high quality vector collection from around 40 royalty free stock collections. These images are reviewed thoroughly before being posted on Thinkstock. So what you get is high quality finished Vectors which can be directly used in your projects. Vector images at Thinkstock are offered at the same price as the Raster ones. With great subscription and image pack plans every Vector buyer can benefit at Thinkstock. I'm sure you may be tempted to try out Thinkstock for your project needs. Vectorguru brings you an amazing Thinkstock Coupon Code that can save you 67% on your monthly subscription. With this coupon code you will get one month subscription for $99 which other wise will cost you $299. This Thinkstock Coupon Code helps you get Super-Savings where each Vector eventually costs you $0.14. Isn't that awesome? I hope this Thinkstock review for vectors helps you in your decision while buying Vectors online. Subscribe to our newsletter for more interesting reviews and and other important stuff related to Vectors.